What kind of wood is used in Sing Logs? Will Sing Logs logs settle, shrink, or crack (check)? Why is there so much attention paid to stability and the lack of shrinking, twisting, and checking? What are the major advantages of quarter sawing? Are your logs treated for decay and insects? How are the logs protected from weathering? Why insulated log is better than regular round log, laminated log, milled log? Why nobody has claimed the $1000 reward—-because no other home system is as Green as Sing Home. What plans can I use? Does Sing Home have stock plans and /or home kits? Does Sing Home offer design services? Does Sing Home offer engineering services? Are Sing Log homes hard to build? Is a Sing Log Home difficult to maintain? Are Sing Log homes difficult to heat or cool? What kind of roof construction can be used? Must (or can) interior walls be logs? How can a Sing Log Home provide more value at less cost? How much does a Sing Log home cost? I’m planning to build a Sing Home sometime in the next few years. Can I lock-in the current log price to prevent future price increase? Are Sing Log homes a good investment? Q: What is difference in building with square log vs. round log? Will I have difficulty with insurance? Patented insulated log ——Wholesale log price for truckload purchase, log priced by linear foot. Q: What kind of wood is used in Sing Logs? The patented Sing Log system can use virtually any kind of wood at a reasonable cost, since we can use thinned and waste wood in our process. Pine and fir are the most economical, but the resistance to twisting, checking and shrinking imparted by the quarter sawn laminated system makes these logs equal to prime cedar in stability. We do offer cedar at a higher cost if that appearance is desired. The quality is in the cutting, and the vertical straight grain that results from the Sing quarter sawn method is generally considered to be the most handsome and desirable. Q: Will Sing Logs logs settle, shrink, or crack (check)? Wood, being a natural material, will always move and change with temperature and humidity, but only Sing Logs have been engineered to virtually eliminate shrinking, warping, and checking. 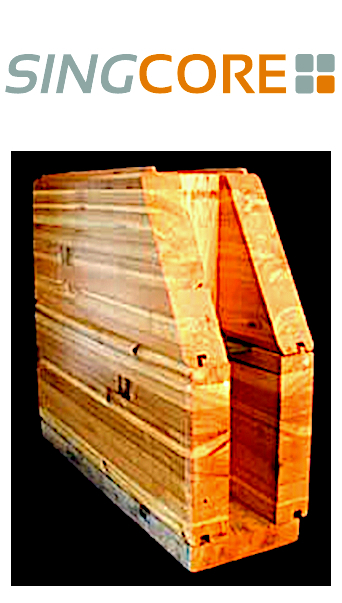 The patented quarter sawn straight grain and laminated construction make the Sing Log the most stable in the industry. Sing Logs are also kiln dried to guarantee the maximum stability possible. Q: Why is there so much attention paid to stability and the lack of shrinking, twisting, and checking? It’s simple! Logs that twist, shrink, or check will allow water to enter the gaps, thereby causing future maintenance problems. Damp logs will begin to rot and decay internally, at the same time attracting insects such as termites and carpenter ants that can’t normally live in a dry log. Any gaps that appear in conventional logs must be cleaned and caulked, often every few years. Since a Sing Home has each layer glued and screwed to the next, the wall behaves like a single laminated beam, with no gaps or checks to cause problems. Q: What are the major advantages of quarter sawing? Quarter sawing produces vertical grain lumber with consistent grain orientation. They are dimensionally stable and show a minimum shrinkage and warpage. The lumber’s ability to hold paints and stains is also enhanced. Please visit Sing Log’s Manufacturing page for more information on quarter sawing vs. plain sawing. Q: What log packages do you offer? Sing logs are sold by linear foot. You can also choose to purchase our flooring, decking, roofing systems, interior walls. 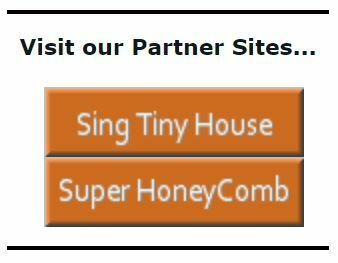 Our packages are all custom made depending your budget and the Sing Home products that you are interested in for you log home. Q: Are your logs treated for decay and insects? Log homes are no more at risk for insect damage than conventional homes. Our logs are delivered untreated and kiln dried. If they are kept dry, there is no moisture to support insects or rot. In areas of severe insect problems, borate or other preservatives could be field applied in the interior cores during erection. All logs must be treated with an appropriate sealer after erection; otherwise precautions typical of your area should be employed. Q: How are the logs protected from weathering? Once the roof is on; use brush or airless sprayer to apply a UV and water resistant coating system. We recommend Sikkens® Cetol® exterior and interior finishes as they have been thoroughly tested and proven to be superior. An initial 3 coats are required, with a recoat every 2 or 3 years on southern and western exposures; 3 to 4 years on northern and eastern exposures. If your own site has heavy weather from a different direction, adjustments should be made. 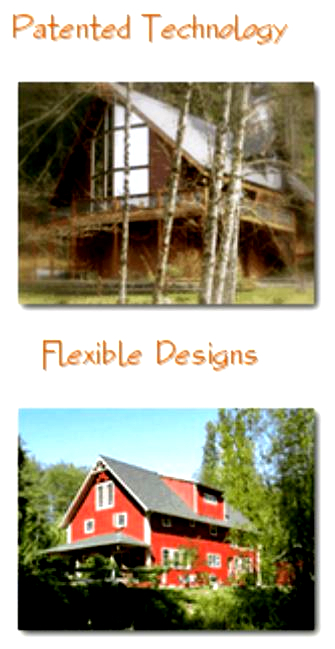 Patented sing log and sing eco log has the highest R value than any conventional log home. 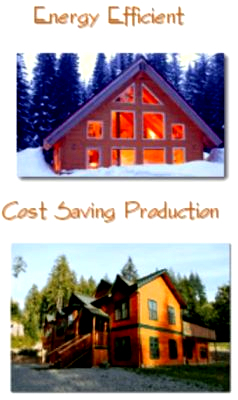 In the cold winter and hot summer R value will cut down your energy consumption which other log homes do not have. Q: What plans can I use? We are able to work with any home design, either from other log manufacturers or from conventional plan books. It need not be a log home design. If you bring us a plan, we can estimate a log price. Our goal is to turn your dream into reality. Q: Does Sing Home offer design services? We can refer you to an outside designer who is experienced in Sing Home designing, or we can work with your own designer and provide him /her with the necessary information pertaining the Sing Log System. Q: Does Sing Home offer engineering services? Sing Home does not provide professional engineering services, but can refer you to a Professional Engineer or supply the engineering paper for your engineer’s review. The building department in your municipality may not require your house plan to be stamped by an engineer, but with one, the approval process is usually quicker and easier. Q: Are Sing Log homes hard to build? In a word, NO! The Sing Log system does not require more than basic carpentry skills, along with some pure labor. Unlike most manufacturers, whose heavy logs require cranes and other specialized equipment to erect, Sing Logs generally weigh under 70 pounds each and can be moved entirely by hand. When compared to conventional framing, The wall construction process is also greatly simplified, since the exterior Sing Log has replaced the siding, sheathing, framing, insulation and the interior wall board at the same time. Q: Is a Sing Log Home difficult to maintain? There are many log homes around the USA that exceed a century in age and are still occupied. Like any other home, proper maintenance will greatly enhance the usable life. An initial application of a UV resistant log coating protects the logs from weather and provides any desired color. The flat faces of Sing Logs means there are no surfaces to catch dust on the interior, or water and dirt on the exterior. Other than the periodic recoating recommended by the finish manufacturer, occasional washing with a garden sprayer should be adequate to keep the exterior of your log home looking fresh. Q: Are Sing Log homes difficult to heat or cool? Logs contain millions of tiny air-trapping cells that are a natural insulator and the thermal mass inherent in log construction both slows the transfer of heat and stores it for slow release later in the day. Log homes are efficient to heat and cool, as well as minimizing the temperature swings typical of frame houses. Washington State recognizes log construction as exceeding the energy code requirement for walls. Comparative testing on identical houses has shown that log homes use less energy over a year than frame or masonry construction. Q: What kind of foundation is required? Local conditions and regulations will have the final say, but log homes can be built on any foundation: crawl space or basement; concrete, masonry, or wooden foundation; concrete slab; or posts and piers. Q: What kind of roof construction can be used? Any style of roof used with conventional houses can be employed with logs. It is more common in log homes to take advantage of high, cathedral style ceilings and open loft space as well as exposed timber framing. The Roof System Options page on this site lists a few common options offered through our Dry-in and Plus Packages. In addition, Structural Insulated Panel (SIP) has also been successfully used in conjunction with Sing Logs by many of our clients. Q: Must (or can) interior walls be logs? For most suppliers, interior log walls may be required for structural reasons or else can add considerable cost if chosen as an option. With Sing Logs, interior partitions are the owner’s choice. Please visit the Interior Wall Options page for common interior wall configurations. Q: How can a Sing Log Home provide more value at less cost? Value begins with quality of the materials and no other log system can match the stability and straight grain appearance of our laminated engineered system. Generally, the cost of having a construction crew to build a Sing Log home is comparable to the cost of building a custom framed house of similar size and features, but there are steps an owner can take to reduce costs. Typically, more than half the cost of a home is in the labor and construction management. The Sing Log system makes it possible to save considerable money by investing time and energy rather than cash. Acting as your own General Contractor, hiring subs, arranging for permits and buying materials can save as much as 20 percent of the finished cost. Q: How much does a Sing Log home cost? Costs of construction can vary considerably due to many factors. Local wage rates, foundation type, and site conditions have a major impact, as does the amount of labor contributed by the owners. As stated above, if you have a contractor build your Sing Log home, the cost would be comparable to that of a custom frame-built home. You’ll be able to reduce the cost if you choose to do part of the work yourself. In either case, with Sing Log Home, you will get a more solid house for your money. Q: I’m planning to build a Sing Home sometime in the next few years. Can I lock-in the current log price to prevent future price increase? We have a Lay-Away Program for our clients to lock-in the current log price. Lay-away interest free for the next three years, with a minimum 10% down and as low as 1% monthly payments. In fact, most Sing Home owners began their Sing Home projects this way. Please contact our office for details. Q: Are Sing Log homes a good investment? Since most log homeowners are building the home for the rest of their lives, log homes are not commonly available on the market, but studies show appreciation is equal to or greater than with conventional homes. Most lending institutions will finance log homes- FHA, VA and conventional financing are possible. If you have difficulty, we can recommend some sources that specialize in log or owner-built homes. We highly recommend Timberland Bank. They are ready and willing to work with you on building your dream home. Large logs take large trees which we need more of to reduce our global warming. Dimensionally not so stable—crack (It cause the suffice treatment fail and lead to decay of wood by letting the moisture penetrate the wood). Shrinking (you need to adjust the floor height to meet the settling of the wall. Q: Will I have difficulty with insurance? Most insurance companies will insure a log home at the same rates as conventional construction. An interesting aspect of log construction is that the heavy timbers resist combustion longer than a frame house where the fire can spread up through the stud spaces. Q: Patented insulated log ——Wholesale log price for truckload purchase, log priced by linear foot. Buying wholesale logs by the truck load is the most economical way to go. Save shipping cost. Or patented energy log at wholesale price is the best insulated log with honeycomb core for strength and dimensionally stable ever made. Our energy insulated log has the highest R value and benefit of thermal mass as other log homes. With our exclusive simple connection system it allows you to extend long length logs at the job site. Q: Why Sing log home is a green building product? Energy saving—select building materials that take energy to produce, less energy to build and consume less energy as long as people live in the house. Renewable and recyclable building materials—Sing home uses small diameter timber and clean wood veneer as or main ingredients of home construction materials. Functional home—-high strength to sustained high winds, earthquake, excellent sound deadening for peace and quite, thermal mass and moisture compensation keep indoor moisture and temperature steady. Simple and easy to build—Takes less building processes. Less management and handling, easy for average person to build, and less weight but with high strength building materials. Dimensionally stable—-It takes less skillful labor to build and will have higher quality walls that allows coating to last. It will increase the life span of the home. It will not cause leakage due to movement of building components. Affordable—It takes less labor for almost any person to build a fine home, Sing home building materials are lightweight, costing less to ship and ease of installation on the job site. Q: Why nobody has claimed the $1000 reward—-because no other home system is as Green as Sing Home? Sing home has produced the most insulated window frame and fabricated the most insulated picture windows with our insulated window frame. Sing home creates the strongest lightweight, most insulated and affordable door in USA. Sing roof system is the strongest lightweight insulated roof and easy to install. Sing honeycomb wall has more insulation than any log home and more thermal mass than any frame home. It is the strongest lightweight & affordable home ever made in USA. We offer $1000 to back our claim as mentioned above.